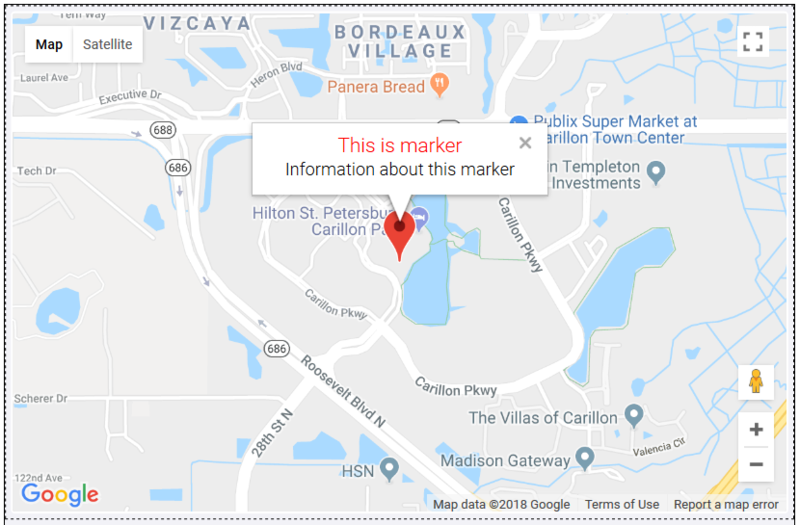 Google Map element is one of the best and handy innovation that will make your website more progressive and practical. You can show any location you wish with a nice map inside a popup! Let&apos;s check them one by one! 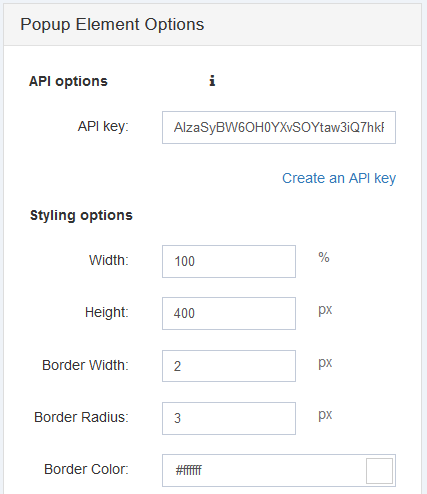 After you have inserted the Google Map element, you should connect it to your Google account, via API key. 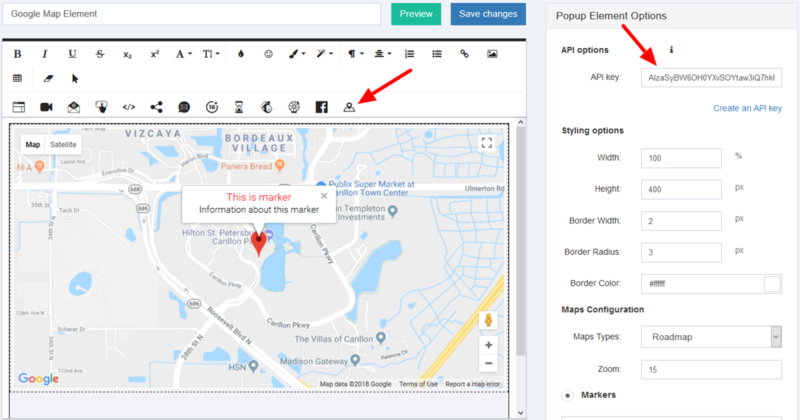 Next step will be setting up the styling options for your Google Map popup. This includes the sizing and the color adjustments of the popup. 4 map types are available for your choice: Roadmap, Satellite, Hybrid and Terrain. 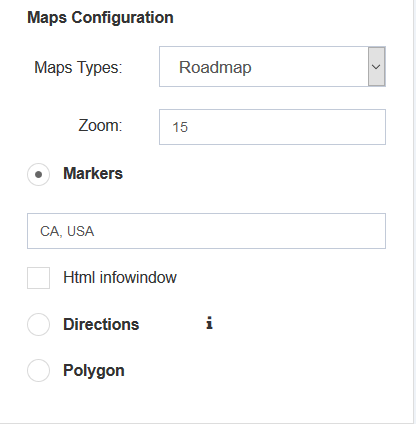 Then you can choose the look of your map: Markers, Directions or Polygon. Let&apos;s check each of the map look types separately. This type allows you to show the exact location on a map, you can show your office address, for example. 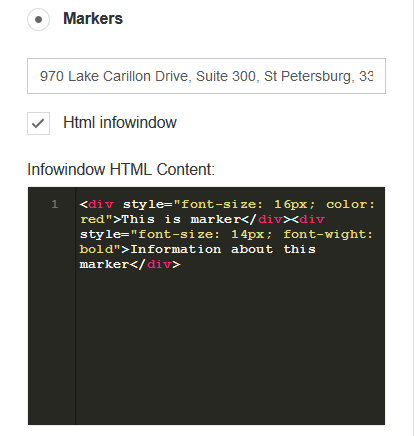 Plus, you can add an info text on the marker, inside the HTML editor of the map marker. 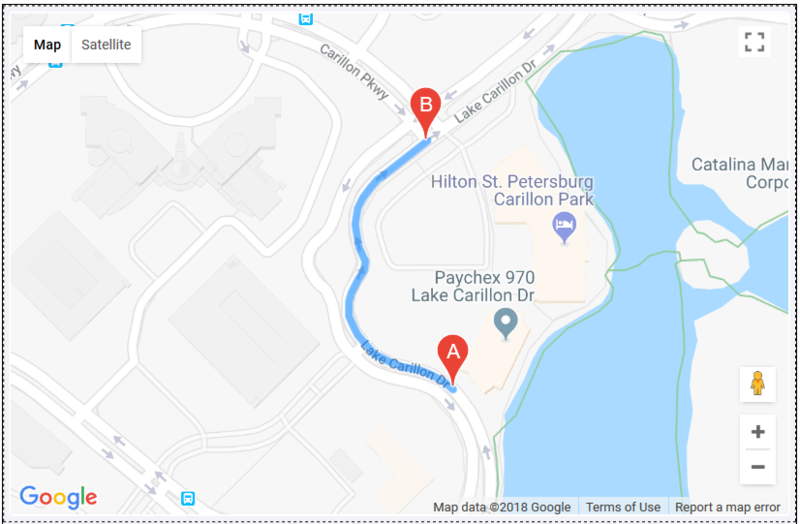 This map type will show the way from point A to point B on the map. The easiest way to get to the place. 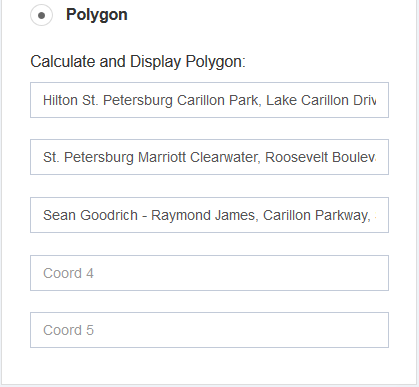 You should enter the "from" and "to" addresses in the configuration to show the directions in your popup. This map type is good for showing a specific area on the map. Like, what area the company owns or is located on. 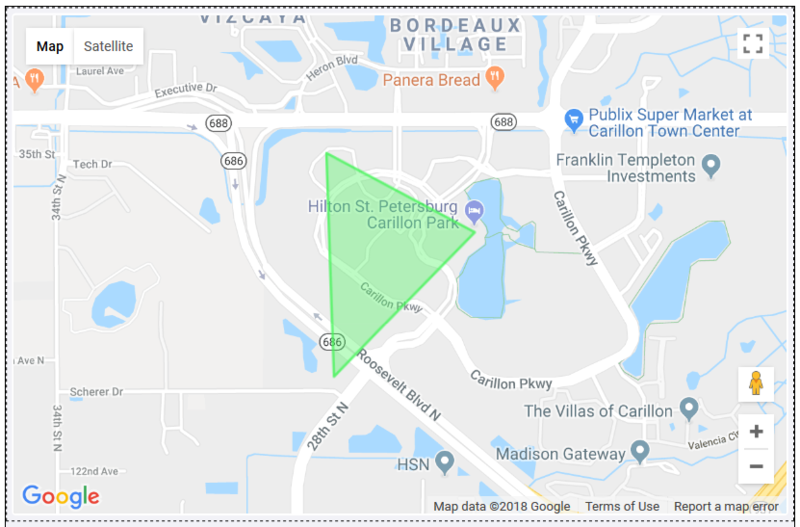 Here, you should point up to 5 addresses to create some kind of a polygon on the map to show the exact area of placement. Start the creation of your own awesome Google Map popup right now and ride the wave.